From finances to funerals, there are more details that fall under the umbrella of estate planning than one might imagine — or, even realize. 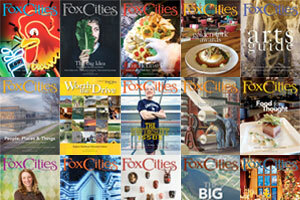 In this story, FOX CITIES Magazine will take a look at this topic and break down the financial sector. “Typically, some life event (for example job change, divorce or death) is why people call me, but then I have to back them up and work with them to look at their whole picture,” explains Kay Knuth, certified financial planner™ and owner of Knuth Financial Life Planning. She notes that estate planning is part of the bigger financial picture, which includes cash flow, budgeting, retirement savings and taxes for starters. Ryan Paape, a wealth advisor with Thrivent Financial and certified financial planner, agrees and adds it’s important to create a financial blueprint. He likes to begin the process by getting a better understanding of what clients are trying to accomplish. Creating a portfolio that manages cash flow and risk to ensure the client has a sound and true retirement plan is important, says Joshua Smith, senior vice president, manager of financial planning solutions with Associated Private Client Solutions. The certified financial planner and certified trust and financial advisor also adds that it’s not a one-size-fits all approach. Taking a look at the estate planning piece of the pie sooner rather than later makes a significant impact, according to area experts. “You’re allowing yourself the luxury of making decisions when you are of sound mind and not out of the picture,” says Knuth. She uses the analogy of remodeling your home with her clients to help them visualize the importance of planning not only for now, but two, five and 10 years down the road, and so on. For those who choose to put off the process of estate planning or never do it and something happens, there are laws in effect, but they likely will not go the route you prefer. 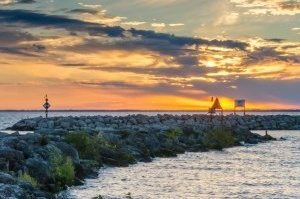 “If you don’t, then you actually do,” says Evensen who also is part of the Fox Valley Estate Planning Council and the Wisconsin State Bar Association. “Then, you’re actually going to let the state determine where your assets go.” In Wisconsin, it goes to your spouse, then children and so on. Having things like a will, trust, living will, health care directives, power of attorney for finances and power of attorney for health care decisions in place will make the situation more manageable for those left to settle your estate. A will, for example, takes effect upon death while a trust can and does name a trustee for direction of assets during life. Knuth, Paape and Evensen suggest surrounding yourself with a competent financial planner or adviser, tax adviser, certified public accountant and lawyer or attorney. “It really does take a team approach to tailor to the family’s needs and wishes,” adds Smith. Communicating who is involved with your team also is key “so everybody knows who the players are and can work in close proximity to make sure those needs are identified and met,” says Evensen. While there is no magic number for when to start and how much to save, Paape suggests starting as young as you can and doing as much as you can while looking at factors including spending, income, cash flow, living within your means, debt management, taking advantage of employer matching and saving. While you can’t control the stock market, you can control how much you spend and save, along with knowing your income level, he says. Knowing your goals and what you wish for your legacy — including any charitable giving — to be is important, Evensen shares. Experts note that your financial picture will look different at each stage of life whether you’re young, old, single, married, divorced or have children. Language in necessary documentation also should vary to reflect that and the “what if” situations. Even if an individual feels as though they have a simple financial picture, it is worth planning, Knuth shares. She encourages people to make a list of their assets — car, house, cash, business if they own one, IRA, 401(k) or 403(b), bank accounts, investments, properties, etc. Anything that doesn’t have a noted beneficiary needs to be accounted for through titling of these assets. Appropriately titling assets also can save time, money and energy. Beneficiaries on things like life insurance polices also need to be set up correctly, Paape shares. “Where you are invested really is dependent upon what you want to accomplish. Every investment has its pros and cons. A good investment plan will balance those risk and rewards to keep you on track toward your goals,” says Secor. Having an updated asset list, photos of tangible assets, financial statements and titling information in a place or two that another trusted individual is aware of like a safety deposit box or fire/water-safe box is beneficial, along with a document outlining username and password information. Knuth recommends updating the information annually as tax information is being prepared, but definitely every 3-5 years as wealth is acquired. Things like receiving inheritance, adding children to the family, job change, death and divorce also can impact planning, Paape notes. “Whatever you put down can be changed, it is fluid,” Knuth says. It is, however, good to have discussions with the individuals you appoint to carry out your wishes to make sure they are willing to accept the responsibility, and that their values align with yours. Discussing finances can still be challenging for clients who are baby boomers. They grew up in a very private manner when it comes to money versus millennials who live through Facebook and social media, says Knuth. It is not unusual for her to hear of a spouse or child finding coffee cans or other hiding places stashed with cash. A more open and honest discussion can make this planning process more effective for all. Evensen also encounters families who start the conversation with the most senior generation, while others prefer not to share information. The more family members can communicate, however, the better, he says.